Check out a website that has great Kindergarten math stations. Kindergarten guided math centers! Visit a website that is an incredible resource for Kindergarten teachers. This site has Math Center ideas based on Kindergarten Common Core State Math Standards, seasonal themes, and much more. 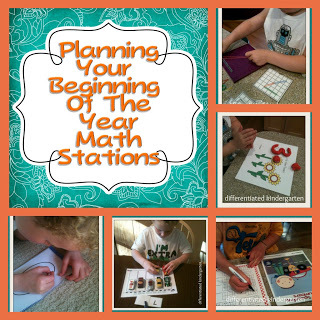 Once on the site, search for “Beginning of the Year Stations” to see how Marsha sets up her rotations and centers that she uses all year long. Marsha even offers Math Stations that are differentiated to meet individual student needs. Visit her site at http://www.differentiatedkindergarten.com/2012/08/differentiated-math-stations-for.html She offers more seasonal math center stations on teacherspayteachers.com also.